Recent estimates predict the cost for autism care in America will rise to a staggering $461 billion (if not a trillion dollars) by 2025, and the current costs are already more than double the combined costs of stroke and hypertension. But what if doctors have been treating autism all wrong, and simpler, more effective solutions are within reach for thousands of parents? In a short YouTube video below Jackson is acting like a normally functioning smiling 6-year-old, but it was not always this way. Jackson was diagnosed on the autism spectrum at 22 months old. Instead of listening to the mainstream medicine critics that autism is incurable, his father found a functional medicine doctor, Dr. Mark Hyman, who worked to address major health issues that Jackson had: gut inflammation, heavy metal toxicity – especially mercury, and nutritional imbalances. 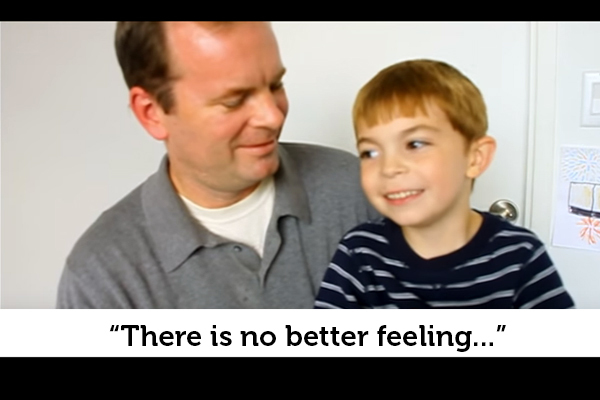 After these conditions were treated, the autistic symptoms miraculously disappeared. “There is really no better feeling than to bring a child back from the terrible place,” Mark said. Dr. Hyman believes we treat autism completely wrong. Instead of a brain disorder, he calls it a body disorder that affects the brain and treats it accordingly. “Treating autism as a body disorder that affects the brain gives us many treatment choices. Children treated in this way can often have dramatic and remarkable — if not miraculous — recoveries,” he writes. Can Autistic Symptoms Be Reversed? The mainstream medical system is quick to label autism irreversible and incurable. But how can we honestly say that, when we are still learning more about the human body and its enormous healing abilities every day? Research points out that there likely are multiple of causes for autism, both internal and external. But with the rapid rise of autism since the 1990s — a 600% increase over the last two decades — many doctors have begun to wonder if most of the autism cases these days are caused by outside sources: heavy metals, especially in food, vaccinations, the environment, and other potential sources. The first one, heavy metals, has raised red flags in a lot of doctors’ eyes, and most naturopathic doctors will immediately recommend a heavy metal detoxification for children who were diagnosed on the autistic spectrum. As in the case of the young Jackson, heavy metal detoxification has shown to produce amazing results. Even though the proof is anecdotal, for now, it is important to take into account because heavy metal toxicity and autism have many similar symptoms. Two prevalent heavy metals that contaminate our world today are mercury and aluminium. Both are toxic and are responsible for some difficult health challenges. The symptoms of inorganic mercury poisoning are: emotional changes, headaches and insomnia, muscle twitching, muscle atrophy, and decreased cognitive functions. The symptoms of organic mercury include neurological impairment, loss of coordination, and muscle weakness. The symptoms aluminum toxicity is associated with: mood changes, muscle weakness, seizures, delayed growth in children and often mimic symptoms of other diseases. And what symptoms do children on the autistic spectrum experience? Many parents have reported all these symptoms, along with seizures, muscle weakness, and vomiting, following a childhood vaccination. The controversial documentary movie ‘Vaxxed’ shows many such transformations in video footage provided by parents, and while it may be disturbing in some cases, this footage drives home the point that vaccine additives really are capable of changing children for the worse overnight. Are Vaccinations, Heavy Metals and Autism Connected? Now that we see the astounding similarities between heavy metal poisoning and autism symptoms, one last detail that many believe seems too real to be a coincidence, is the numbers of autism diagnoses by age compared to the childhood vaccination schedule. Most children diagnosed on the autism spectrum show symptoms of developmental issues between the ages of 13 to 18 months. 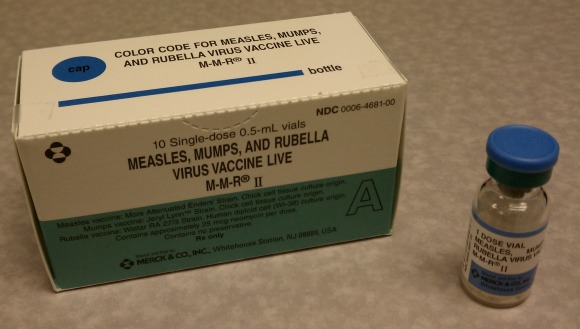 This is also the age when the children receive the most vaccinations. The official CDC schedule recommends nine vaccinations between 12 and 18 months: HepB, DTaP, Hib, PCV, IPV, MMR, Varicella, HepA, and a flu shot. Some doctors have been known to give many of them in one visit to save time (one parent recorded his son receiving six shots at once at the age of 2). Most of the childhood vaccinations contain aluminum, and flu shots contain mercury. HepB, depending on manufacturer, contains either aluminum hydroxide, or aluminum sulfate and amorphous aluminum hydroxyphosphate sulfate. All different forms of it are toxic. DTaP contains either aluminum phosphate or aluminum hydroxide. Hib named PedvaxHIB contains aluminum hydroxphosphate sulfate. PCV named PCV13 – Prevnar 13 contains aluminum phosphate. IPV, when administered together with DTaP contains aluminum hydroxide. HepA contains either aluminum hydroxide or amorphous aluminum hydroxyphosphate sulfate. Most flu shots contain thimerosol (mercury). Aluminium salts used in vaccines have been shown to have adverse long-term neurological reactions. By the age of 22 months (when Jackson was diagnosed), a child will receive up to 26 vaccinations when following the CDC schedule. No matter where you stand on the vaccine debate, the amount of links between heavy metal poisoning, autism, and vaccination reaction symptoms are starting to look less and less coincidental with each new case (the government has paid out over $3 billion in damages since 1986 on behalf of vaccine companies that have been granted immunity from lawsuits). Dr. Hyman himself is pro-vaccination, but is urging the heavy metals, specifically mercury, to be removed from vaccinations after seeing the damage they can do to children first-hand. Thankfully, because of advances in the holistic autism field, those who do suffer such damage (like Jackson in this case) may finally have ways to reverse it.